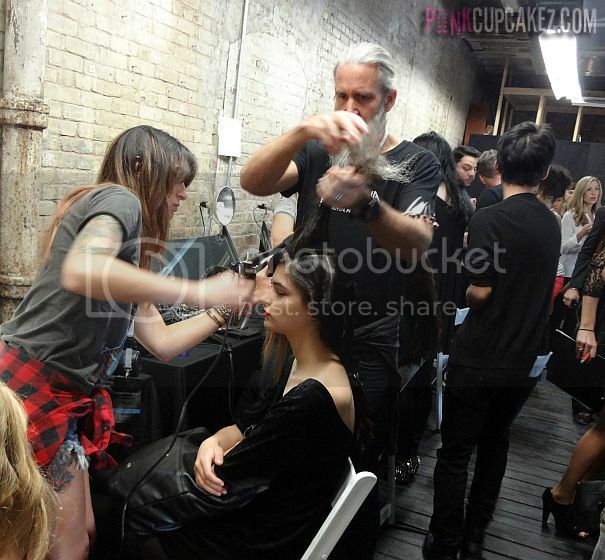 NYFW S/S14: Backstage Beauty at the Chadwick Bell Show. One of the craziest times of the year in the fashion world is among us. NY Fashion week is here(almost over, but still here)! A few years ago, I thought attending fashion week would just stay a dream of mine. 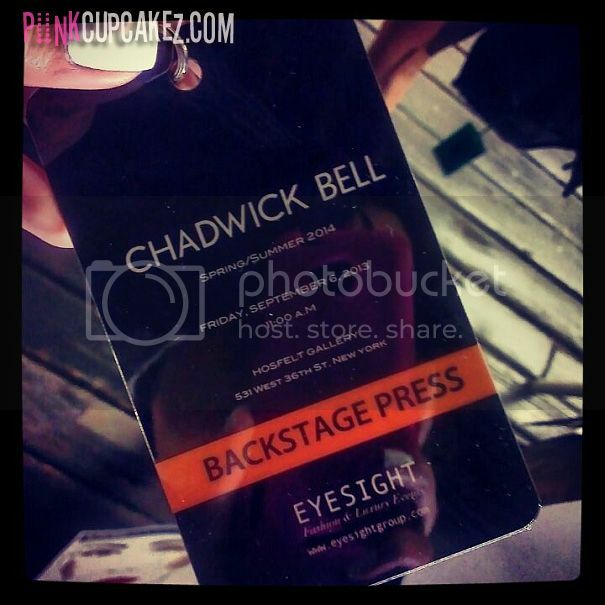 You can only imagine how excited/nervous/thankful I was when I received the invite to be backstage at the Chadwick Bell show. The hair look for the show was sponsored by Alterna Haircare and I got the chance to ask lead stylist Nate Rosenkranz a few questions. Chadwick Bell grew up in Southern California and loved taking family trips down to Mexico. He was struck by the care-free vibe of the surfers and wanted the look to be a reminder of just that. The hair was to look a little dirty and have that natural sea salt texture as if you've been in and out of the water. The front was swept to the side and the entire look had a slight wave with a contrast between matte and glossy textures. Alterna Caviar Perfect Blowout Creme(his favorite product) mixed with Alterna Caviar Seasilk Oil Gel was applied to the hair which then was then twisted in sections and rough dried to create that piecey effect. 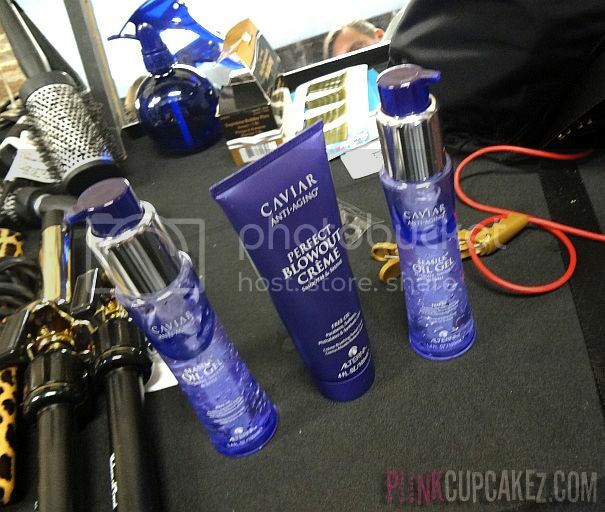 Alterna Caviar Anti-Aging Mousse was used on the top to create the sweep in the front. Alterna Bamboo Luminous Shine Mist made the hair even shinier and the look was completed with Alterna Caviar Anti-Aging Working Hair Spray. If you notice in the next photo, you will see a big white band around the model's neck. Those were removed before the show. It dented the hair at the nape to look like they have just taken out their ponytail. 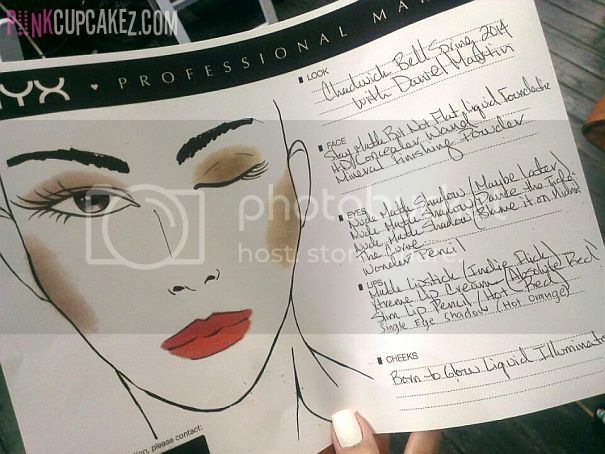 Nate says we'll be seeing a lot of difference in texture as seen on the Chadwick Bell runway. Get ready to make your hair go from glossy into matte. The look was sponsored by NYX, ladies. 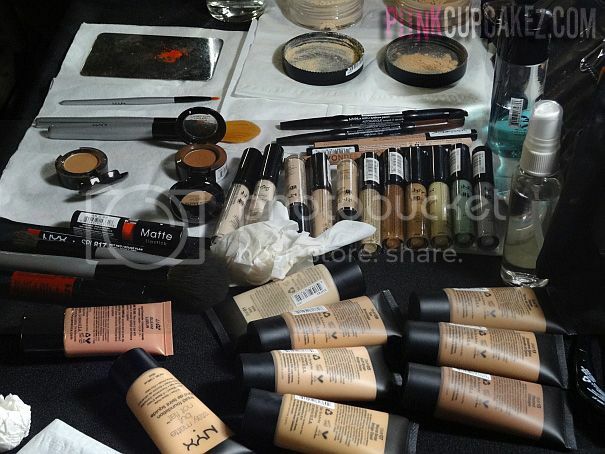 Just goes to show you don't need to break the bank to put on a good face. 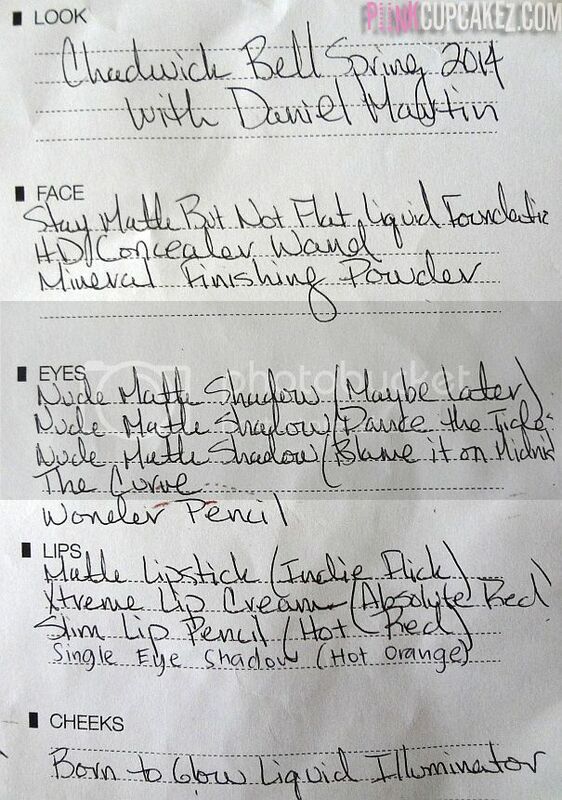 It was all about a clean, sun kissed face and a gorgeous two-toned red lip.